You read it right. A ticket on the slow train (which takes about an hour) from Vicenza to Venice is €5. To take one of the fast trains it could cost you four times that and only save you about 20 minutes, so I recommend sticking with the cheaper ticket. 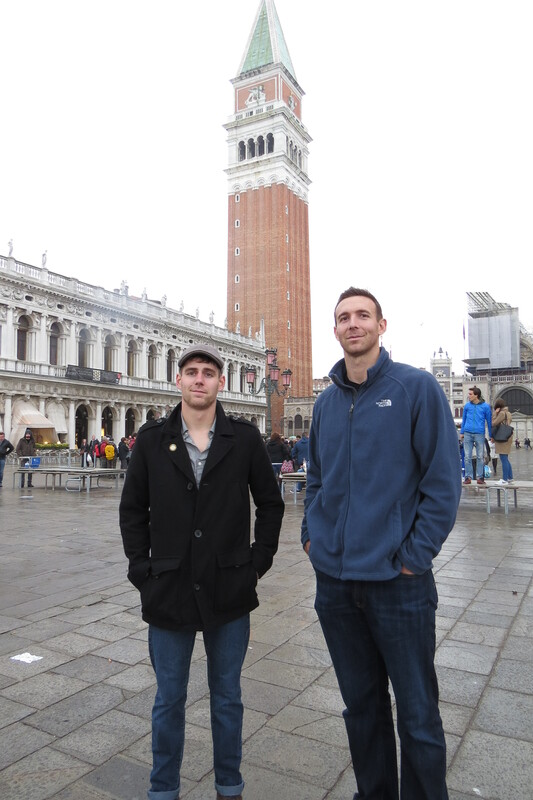 Alex and I decided to head to Venice not long after we moved into our apartment for a quick day trip. We managed to go at bad time of day and none of the slow trains were coming for an hour and a half, so we had to buy fast train tickets for €16 each. Bizarrely, the fast train ended up being about half an hour late. (Which is not uncommon here. And transportation workers strike all the time, so trains are often cancelled completely.) It was frustrating to say the least, but we got to Venice in the end. It was absolutely beautiful. It was everything I imagined, but it was REAL which made it so much better. We didn’t buy a map, so we were using the GPS on our phones to keep track of where we were. Mostly, we wandered. It was fun not knowing where we were going or what we might find around the corner. 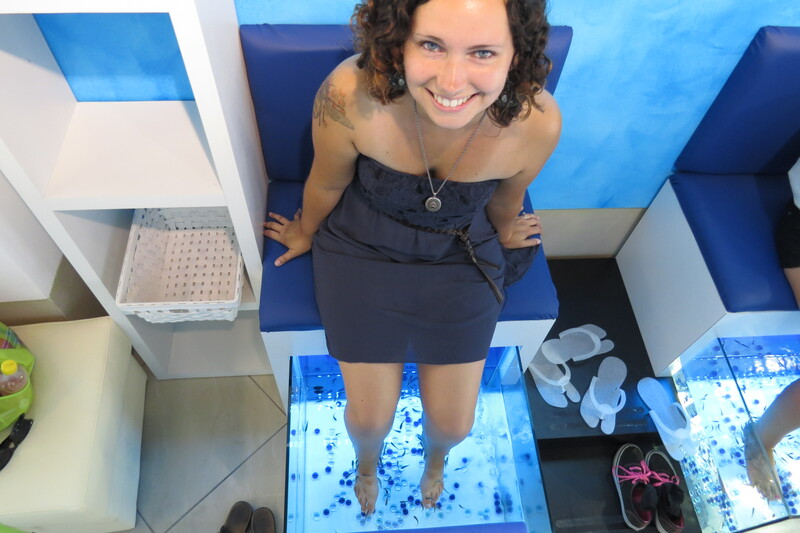 One surprise we discovered was a tiny shop that did fish pedicures! I can’t remember the first time I heard about them, but I have wanted one ever since. Alex insisted that I do it, and I’m glad he did. My feet are pretty ticklish, and though I would describe the fish as tickly it wasn’t so tickly that it made me laugh. It was very enjoyable. The only thing that wasn’t so great was that the fish were very small and couldn’t do such an awesome job at removing dead skin. My feet were REALLY clean afterward, and smooth, but they couldn’t make much of a dent in callouses or anything like that. It was definitely worth it just for the novelty, and it didn’t cost too much. It was €10 for 10 minutes, which probably sounds like a lot, but I probably wouldn’t have wanted to sit there for much longer than that anyway. There were longer sessions available as well. 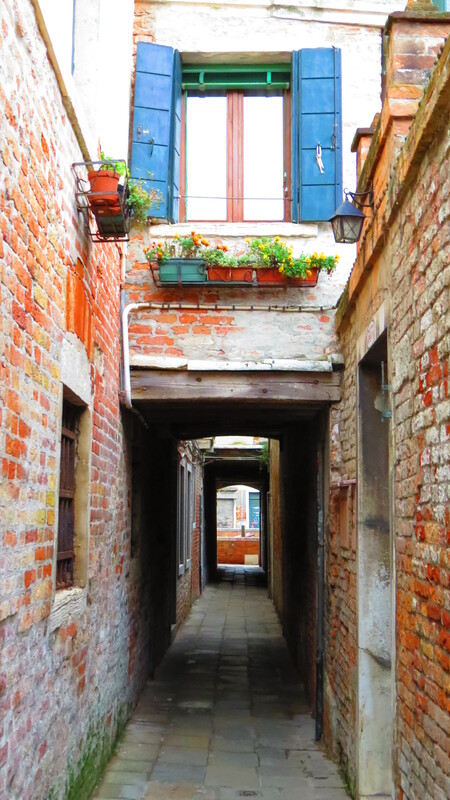 If you go to Venice and want to find this place, unfortunately I can’t help you. As I said, we were wandering and I have NO CLUE where we were. We found a restaurant called Maddalena (our dog’s name is Madelyn), so we had to eat there for lunch. It wasn’t bad, but I don’t think I would eat there again. The service wasn’t great, and the food wasn’t worth the price in my opinion. 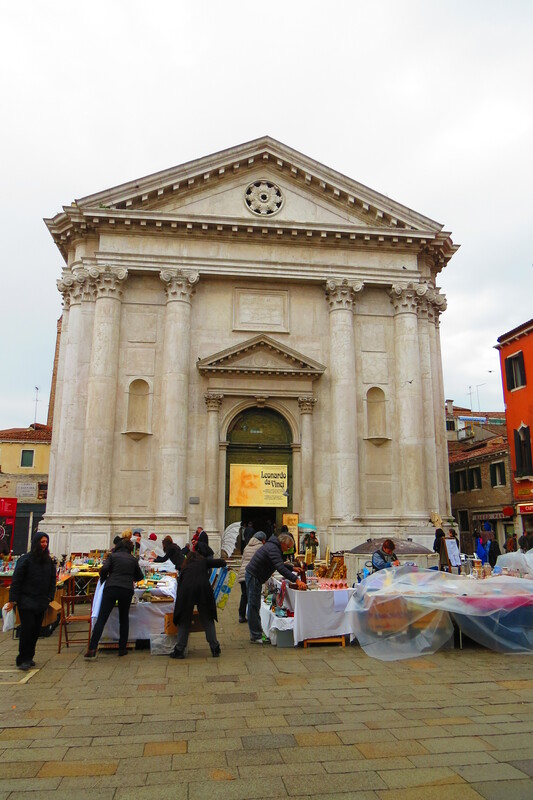 We saw lots of shops where we could easily have spent hundreds of euro, and plenty of street vendors selling Venetian masks and other touristy items. I found a mask to send my Nana for her birthday, and a magnet for our own souvenir. My husband bought me this classy new hat from one of the cart vendors. Unfortunately we didn’t have much time to spend in Venice. The next day was a work day for Alex, so we wanted to take a train home no later than 6. By the time we had to start walking back to the train station, we had barely seen any of the city! 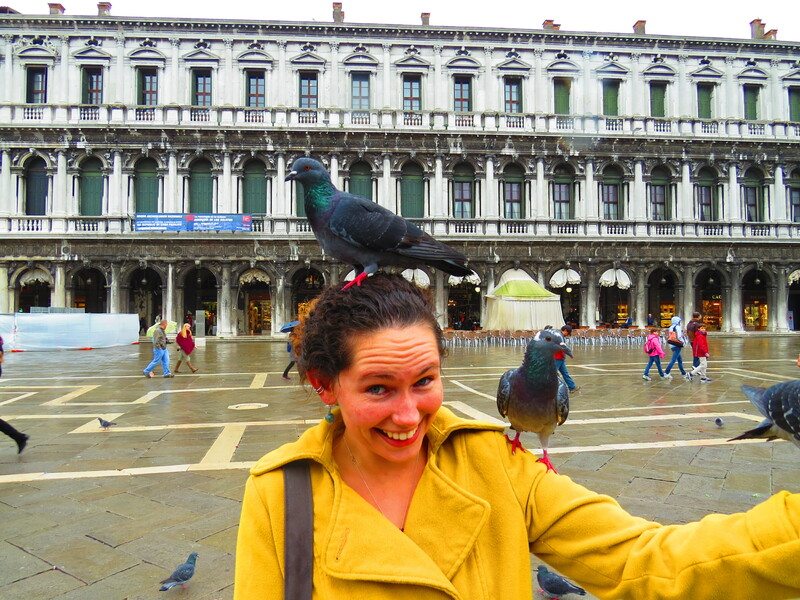 We hadn’t even made it to Saint Mark’s Square, so it’s actually a really good excuse to go back. Meandering back to the train was just as lovely as walking around earlier had been. We tried to avoid the crowds and took smaller streets, some of which were so small you couldn’t even walk side by side. As you walk along these tiny streets, you’re surrounded by tall buildings on either side and it can feel a little claustrophobic. 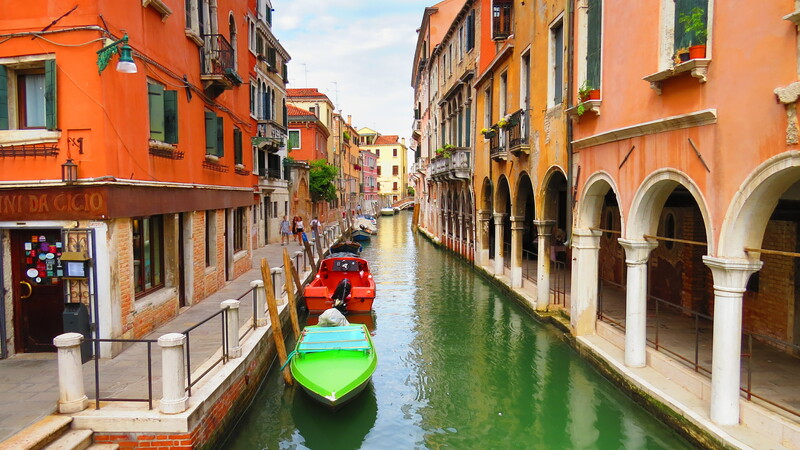 But suddenly you’ll emerge into the sunlight to find yourself on a bridge over one of the gorgeous Venetian canals. 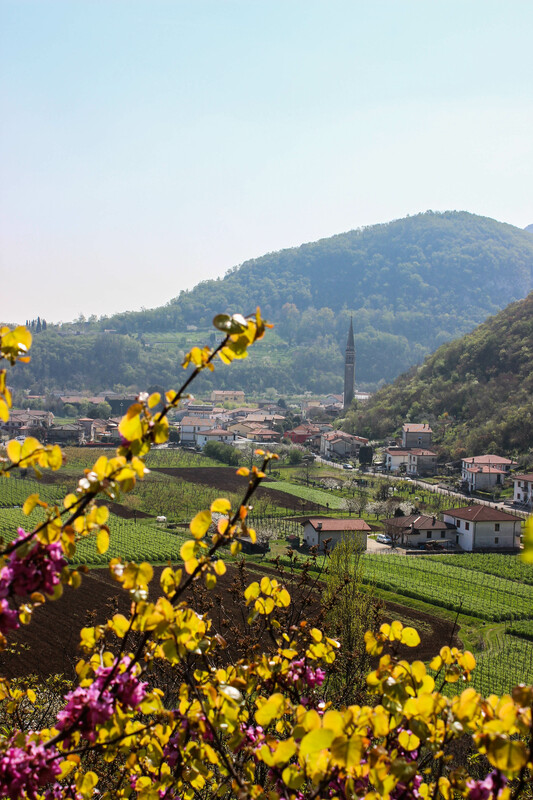 Like the rest of Italy, you frequently end up in the tiny piazzas that are dotted throughout the cities. 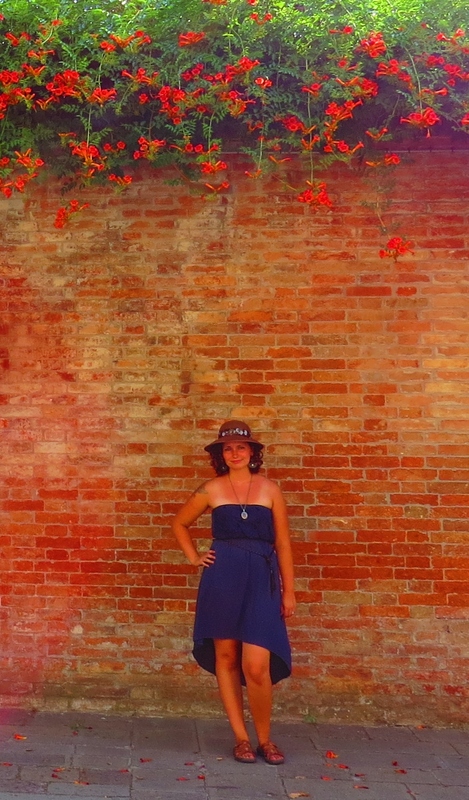 We accidentally found one that was quite beautiful, with thick flowers overhanging a brick wall. I think I’ll let the pictures do the talking for a little bit. It was a very quick day trip, but I feel like we packed a lot into the day. 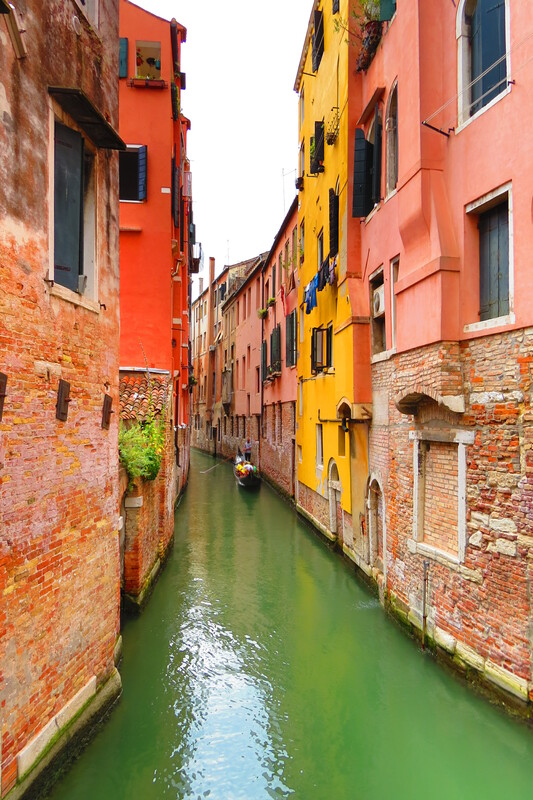 There’s still a ton of Venice left for us to see, so I plan to update this entry the next time we visit. Stay tuned! I’ll start off by telling you that we had a hell of a day with public transportation. Our train to Venice was cancelled after about 40 minutes waiting. So we hopped on the next one and I held my breath the whole way because we were on the fast train with slow train tickets. Luckily nobody came round to check, so we got away with it. 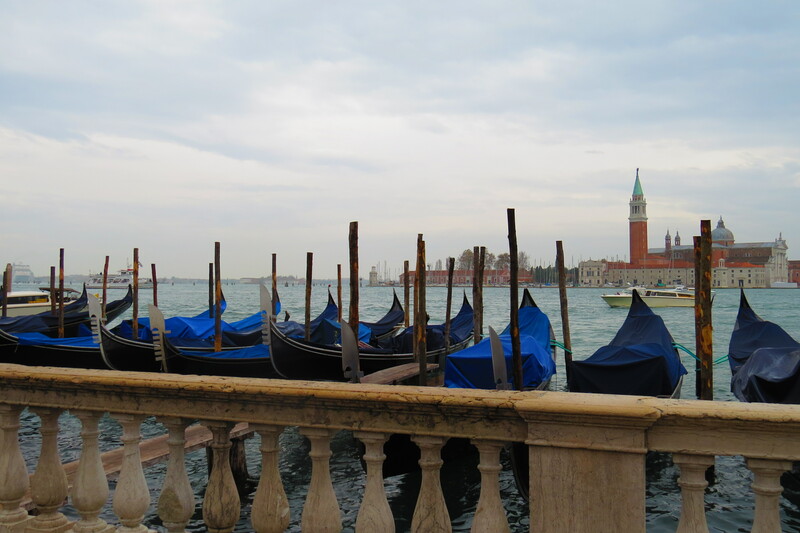 It was kind of a dreary day for a trip to Venice, but it was well worth it. Since it was October and wet, the crowds were pretty manageable. Alex and Jon had their hearts set on seeing the “Indiana Jones library,” from Raiders of the Lost Ark (I think). Sadly, we didn’t even get to go inside! They were having a Leonardo da Vinci exhibit inside and wanted to charge us a silly amount of money just to get through the door. We just wanted to see the library, so we decided we’d save it for next time and hope there would be no exhibits. 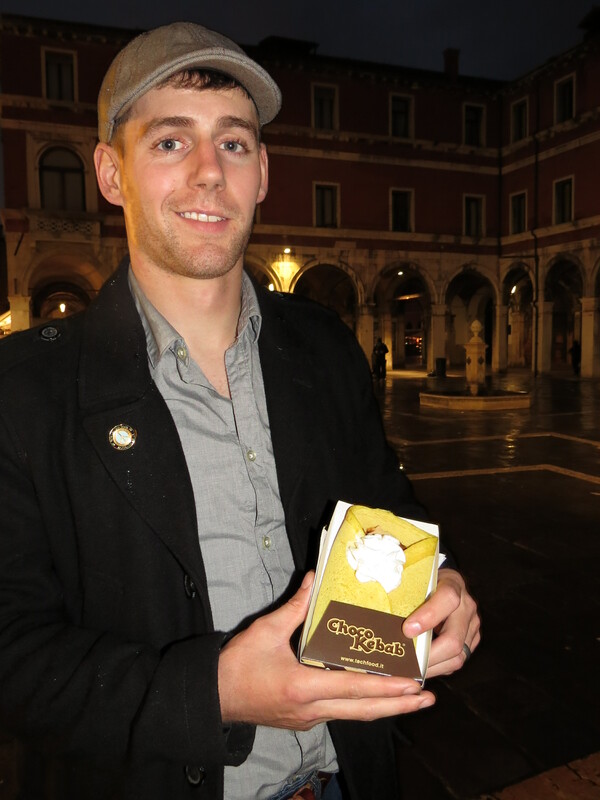 Next we set out to find Saint Mark’s Square (Piazza San Marco). 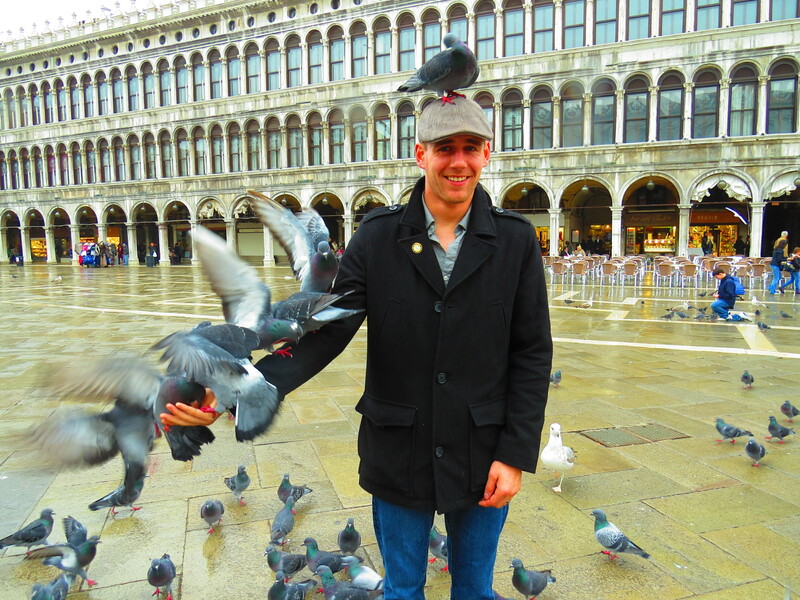 It took a while but we finally found it and even got some pictures with the pigeons. Next stop: FOOD. We were starving and thought it would be fun to check out the Hard Rock Cafe in Venice. Some good greasy American food sounded fantastic after so much walking. We eventually found it and took a look at their menu. Um, €16 for a burger? Are you kidding me? Does the mayo have diamond flecks or something? Alex and I were on a budget and those prices were out of the question. Seriously, that’s a twenty dollar burger. No thanks. So we set off and FINALLY found a little Italian place and got pasta, which was delicious. At some point while meandering around, the boys happened upon an Irish pub (surprise, surprise). I think Alex has a homing mechanism that draws him toward the nearest pub without him even knowing. Pretty handy, if you ask me. The pub was amusingly named Inishark. 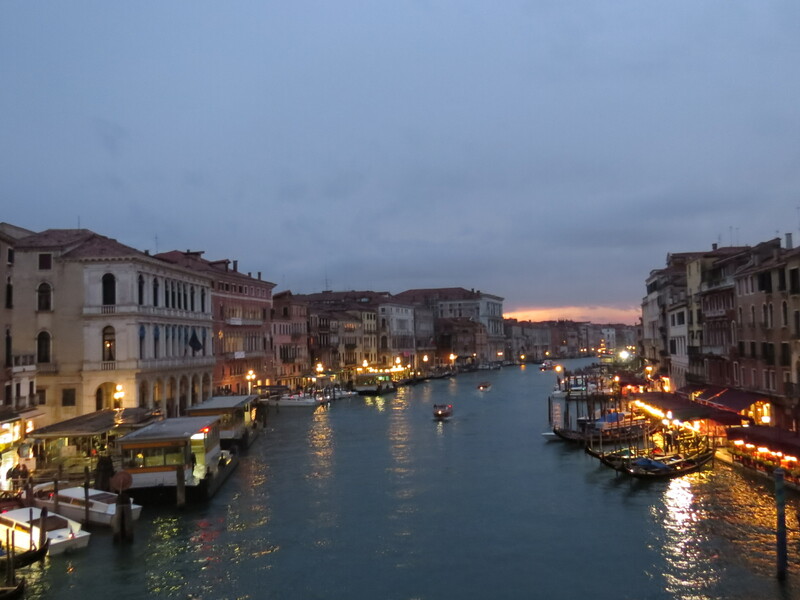 I think I’ll finish this off with a couple pretty pictures of Venice. I’m sure we’ll be back eventually, but we finally feel like we’ve seen everything we had to see. 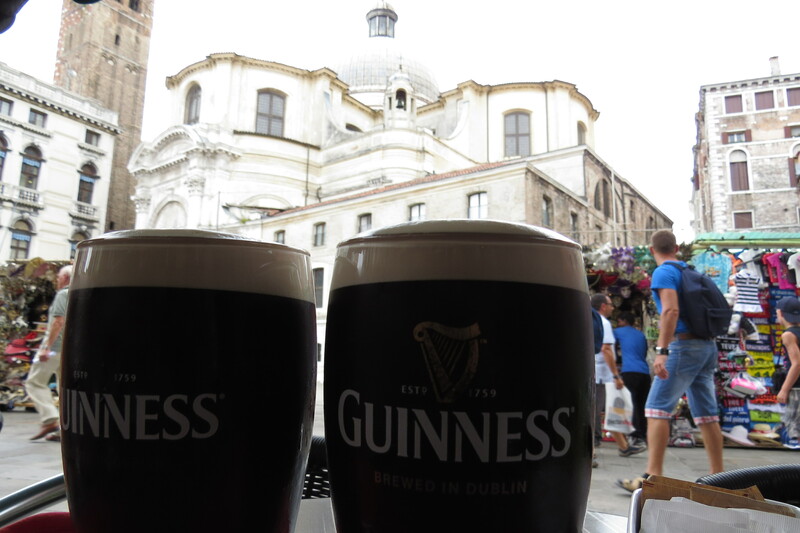 This entry was posted in Italy, Travels and tagged dream destinations, Italy, pub, St. Mark's Square, travel, Venice. Bookmark the permalink.